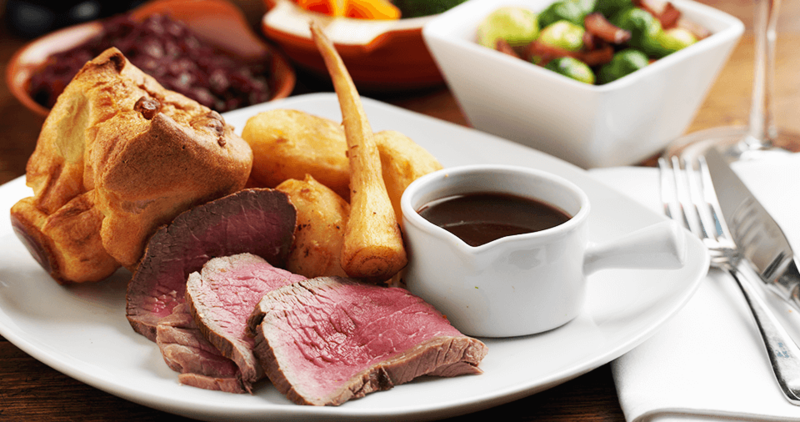 Our Sunday Lunch menu is served between 12 noon and 3pm, offering fresh, locally sourced and expertly roasted meat with a range of seasonal vegetables. Please click here to see our sample Sunday lunch menu. Please note that this is a sample menu, as the menu will vary depending on what seasonal produce we have available on the day. We also offer a smaller Sunday lunch for children, which includes ice cream for dessert. To make things easier for parents, our children’s menu is also available during Sunday lunch service if this suits your children better.